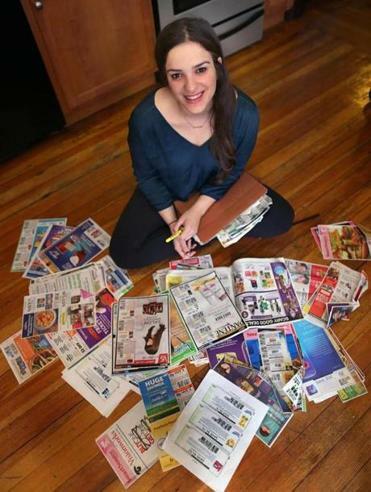 Tufts student Hannah Steinberg surrounded by the coupons she collects to buy goods to donate to charity. Before Hannah Steinberg had a day named in her honor and was recognized by a US senator, the Tufts junior was just another high school student watching reality television. On that day about four years ago, Steinberg’s show of choice was “Extreme Couponing,” the cable program that follows discount-obsessed shopaholics who go to supreme lengths to buy ultra-cheap items regardless of whether they need them. But as she watched the show’s stars proudly hoard their deeply discounted prizes, Steinberg said she had a thought: What if she could coupon with a conscience? These days, the 20-year-old Steinberg has a registered charity that has donated more than $100,000 worth ofhousehold items, canned goods, and electronics to homeless shelters and hospitals by using the couponing tricks she observed on the show. Simple for those in the know. Stores, private couponing companies, and online marketplaces frequently offer discounts on the same items in any given store, which savvy shoppers can combine, Steinberg said. 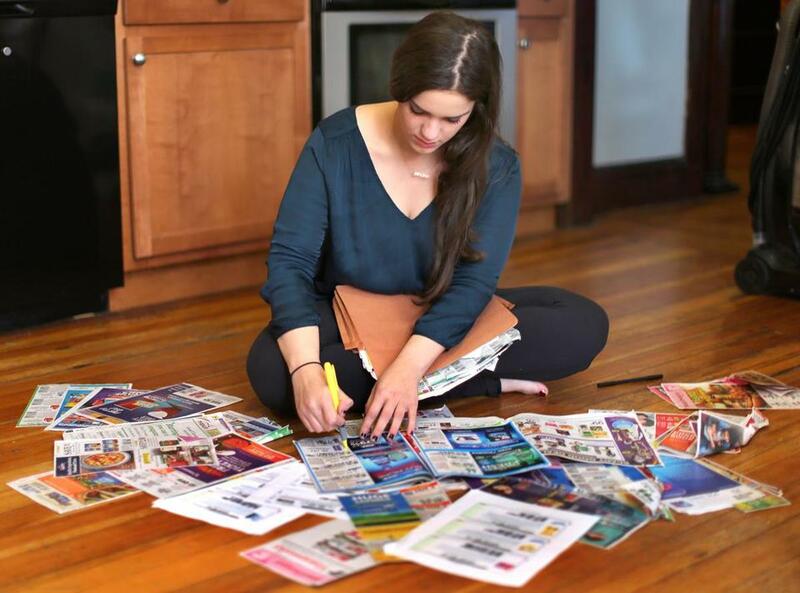 What “Extreme Couponers” do is meticulously keep track of who is offering which discounts, and then buy in bulk to maximize each dollar saved. Steinberg uses the example of a chocolate bar priced at $1.19. If she finds a buy one, get one free coupon, and pairs it with a buy two, get one free coupon and a $4 off any $10 purchase discount, Steinberg said she can purchase 30 chocolate bars for only $6. Steinberg, a native of Scarsdale, N.Y. who is majoring in psychology and child development at Tufts, said she has been amazed by all the support she has received. “There are people who’ve done much bigger things,” Steinberg said. Her mother was less modest. Our Coupons Care has been recognized by three elected officials from New York, US Senator Kirsten Gillibrand and US Representatives Eliot L. Engel and Nita M. Lowey. On June 28, 2012, the county board in Steinberg’s hometown proclaimed it Hannah Steinberg Day throughout the region. Steinberg has been juggling her schedule at Tufts University with the coupon program. Steinberg said she was embarrassed by the hoopla surrounding that day, but her mother had to continually encourage her to bask in the attention. “I’ve gotten so much more than I have been able to give,” she said. Ivan Smith, a youth coordinator at Coachman Family Center in White Plains N.Y., said he believes Steinberg’s estimate of how much she has donated is too modest, and that she has given nearly $100,000 worth of items to his shelter alone. Smith has advised Steinberg since she was in high school, and helps her identify needs of the shelter, which houses about 175 children. He said Steinberg’s donations have made a “significant” impact on the lives of the shelter’s families. Since coming to Medford for college, Steinberg has juggled her time-intensive coupon project with the trials of collegiate life. Even so, Steinberg has also donated a toiletries and household items to Boston Children’s Hospital and has led a student group at Tufts through a $4,000 donation project. At school, Steinberg said her friends help her stay atop of the discount world, even as she grinds out 20-page papers and crams for finals. Steinberg said she tries to organize a donation drive at least once a month. She laughs at her high school efforts, when a 20 percent discount made her ecstatic. As of now, no reality show is in the works.